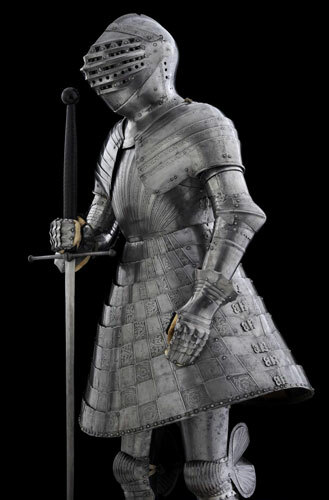 Following is a table that identifies various pieces of medieval armour arranged by the part of body. Even a brief look at the table confirms the preponderance of terms of French origin. It should be borne in mind that there are a variety of alternative names and spellings (such as cowter/couter or bassinet/bascinet/basinet or besagew/besague) which often reflect a word introduced from the French.